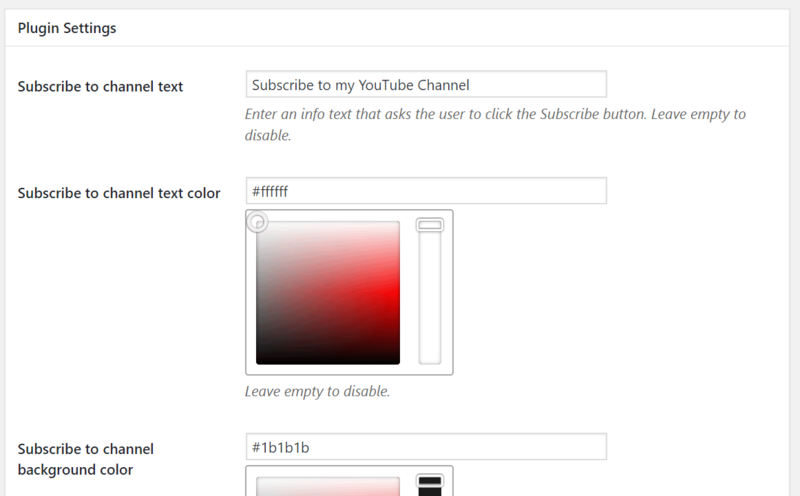 Need help with how to embed a YouTube subscribe button on your WordPress site? In this article, we’ll show you how to do just that using two simple methods – an easy embed code or a free WordPress plugin. But before we cover the how-to, we’ll quickly run over the best spots to add your YouTube subscribe button! As a general rule of thumb, the higher your YouTube subscribe button is, the more conversions you’ll get. For this reason, we recommend placing it at the top of your page, above the fold. Well, consider the fact that 55% of visitors spend less than 15 seconds on websites. Chances are, your visitors won’t make it all the way to the bottom of your page. To maximize visibility, you can also place your YouTube subscribe button on multiple pages. You’ll obviously want to feature your button on your homepage – that’s a given. If you have a few popular pages or blog articles that bring a ton of organic traffic to your site, then go ahead and feature your button on these pages as well. 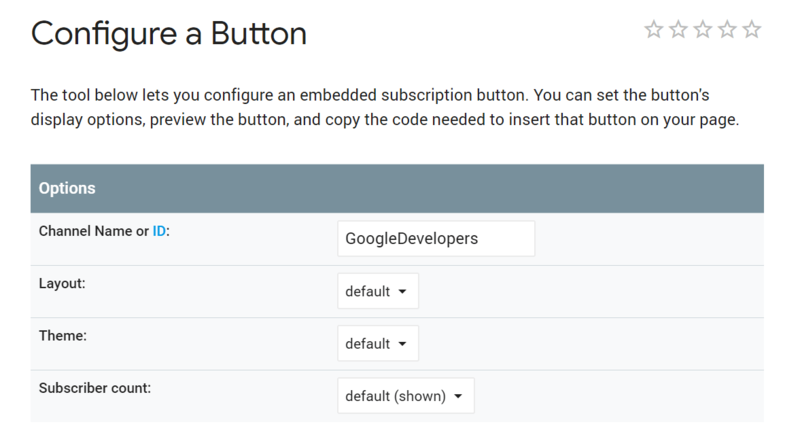 Don’t let the “code” mention worry you – this method to embed a YouTube subscribe button is super easy. You’ll use the Google Developers page to generate a code snippet. Then, you just need to add that code snippet to the spot where you want to display your subscribe button. Keep this handy because you’ll need it for the next step. Next, you’ll need to add the embed code to your WordPress site’s sidebar. From your WordPress dashboard, click Appearance > Widgets. Once you’re done, save your changes and refresh your website to see your spanking new YouTube subscribe button. Want to get even more eyeballs on your YouTube channel? 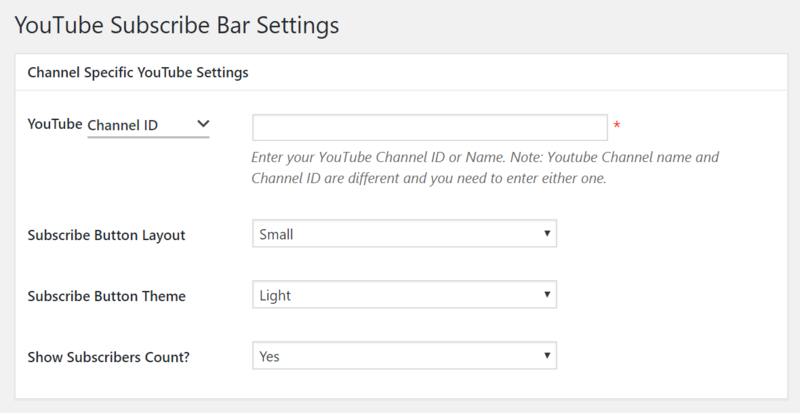 You can also consider configuring your site such that you get a YouTube subscribe button below every YouTube video that you embed on your site. Once that’s done, go to your left-hand panel, and select Settings > YouTube Subscribe Bar. You can also edit your Call To Action, as well as your background and text color here. What’s a good color to use? Most folks tend to stick to the tried-and-tested options (green or red), but any color that stands out from the rest of your page will work. After you’ve played around with the various options and made your pick, click on Save changes. 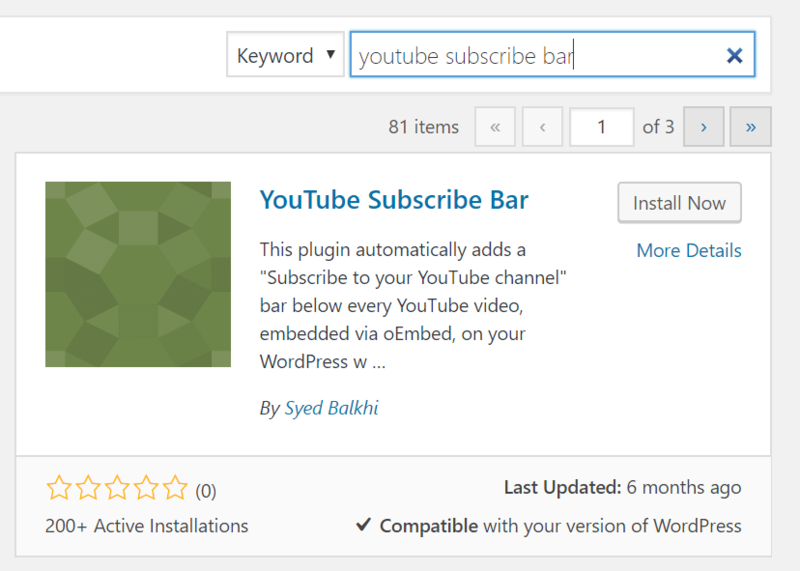 Once that’s done, the plugin will automatically display your YouTube Subscribe bar below every YouTube video that you embed on your site. This includes both videos from your channel and videos from third-party channels. If you’re embedding a YouTube subscribe button on your website, you have to abide by YouTube’s conditions of use. First and foremost, your button must be fully and clearly visible, and you can’t alter the YouTube logo or icon in any way. On top of that, you shouldn’t offer prizes or rewards to get your visitors to click on your YouTube subscribe button. Last but not least, you’re not allowed to use your YouTube subscribe button to track any data about a user related to their actions or browsing activity. If someone’s already browsing your site and reading your content, we’d say you have a pretty good chance of converting them as a YouTube subscriber. Go ahead and embed that YouTube subscribe button on your website, and sit back and watch as your number of subscribers starts to climb. Here’s to more exposure, more views, and more subscribers!